I don’t love Don DeLillo. I keep reading his books and I’ll eventually read them all, but I’m not entirely sure why. He’s a strong writer and he’s clearly gifted, but either he has a bit of trouble getting all the gears to turn or I have a bit of trouble staying interested. Examples? Sure. Underworld was a great concept and a daring undertaking that, ultimately, resulted in a novel that was just overlong for the limited number of things it had to say. It was an elaborately constructed, complex text that…didn’t work. I could see what was invested in it. It was an impressive machine. But, somewhere inside, something wasn’t working. I stayed interested, but I didn’t care. I read on because there was no real reason to stop, rather than because I had a good reason to keep going. I know that many others disagree; critics loved Underworld. For me, though, the most memorable parts were its fantastic opening (a legendary, real-life baseball game between the Giants and the Dodgers) and a recipe for Jell-O chicken mousse embedded later in the text. Underworld certainly seems like it should be a great novel…but, reading it, I was only ever happy when it rose to being “very good.” I think DeLillo wanted it to be his masterpiece, but couldn’t figure out how to get it there. He released it anyway. I guess you might as well, at that point. Then there’s Falling Man, his novel of 9/11, which I genuinely remember nothing about at all, aside from the image of a rolling water bottle. For a novel about a massive, recent historical event, and one that occurred quite near to me and changed the way my world actually looked, let alone felt, that’s saying something. Falling Man might not have been bad, but it certainly wasn’t interesting. But I keep reading DeLillo, and I will keep reading DeLillo. The reason is White Noise. That’s his real masterpiece. A brilliantly witty, clever, powerful examination of mankind’s response to its own mortality. It’s hilarious and horrifying in approximately equal measures, with a strong character and an impressively rendered family–one flawed, as families are, but ultimately loving, even if they lack the words to express themselves. It taps into a lot of interesting ideas along the way, as the protagonist learns that due to exposure to an “airborne toxic event”–a carefully euphemized chemical disaster–he is going to die. When? It’s unknown. How? It’s unknown. Symptoms? Unknown. In short…nothing has really changed. We’re all going to die. But there’s a difference between knowing it, and finding it out. Having to face the mystery. Bringing it to the fore. No, you never knew. You still don’t know. It’s just that now, you have to think about it. DeLillo found an interesting aspect of human life, a shared and universal and important aspect of human life, to use as the foundation for what was already bound to be a great novel. It was sharp, effective, and insightful. What’s more, it felt as though it came naturally…the way all the best novels do. That’s something I can’t say about anything else I’ve read of his, and I truly believe that that’s the defining difference. But when I tried to pick a DeLillo book to spotlight, White Noise wasn’t doing it for me. I’m not sure why. It’s great, and I’d have a lot to say about it, but it didn’t feel right. So I left a spot on my list for it, sat down to write about it, and thought about Point Omega instead. 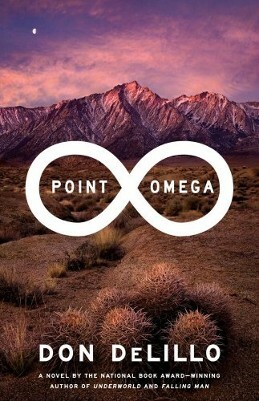 Point Omega, I’m pretty sure, isn’t even good. It’s barely 100 pages long and it still feels padded. It’s less like a brief novel than it is a tragically overlong short story. DeLillo is talented enough to do remarkable things with unremarkable material, but at times it doesn’t even feel like he’s trying. At other times, though, Point Omega feels like it could have given rise to something much more interesting than it really is. It’s such a short and uneventful novel that to mention anything about it would pretty much count as a spoiler. So, you’ve been warned. The bulk of the book is dedicated to Jim Finley, a filmmaker. He seeks out, and finds, an elderly, retired war advisor named Richard Elster who spends his time in a small home in the desert. Finley has an idea for a film about Elster. Sort of. It’s a film in which Elster stands in front of a wall and speaks. And that’s it. We can argue all night long about whether or not such a film could possibly have artistic value (my answer: it could, of course, but it wouldn’t have automatic artistic value), but I can say at least that the novel doesn’t quite know what to do with it. The making of what sounds like a fairly boring film turns out to be a fairly boring story. Finley and Elster are two isolates who make vague conversation and while away the days. It’s exactly as exciting to read as you might expect. Bookending this sequence are two shorter sections taking place at the (real) 24 Hour Psycho art installation, in which Alfred Hitchcock’s classic film is screened at a much slower speed so that it takes an entire day to watch it. A character obsesses over this installation, and eventually meets a girl there. The girl is Jessie, Elster’s daughter. She joins her father and Finley in the desert about halfway through the book, and Finley takes what is strongly implied to be an unhealthy interest in her. She notices this, and disappears before he’s able to act on a terrible impulse. We don’t know where she went, or how much she knew about Finley’s intentions toward her. We get suggestions of each, but no definitive answer, which is a good thing, because it’s here–only here, and for far too brief a period–that the book becomes interesting. Jessie is gone. Finley and Elster search the desert for her. They are unprepared for the environment. They find what might be a clue, and what might be nothing. Eventually, as they must, they stop looking. Jessie is gone, and the two are left alone in their clear hopelessness. It’s a haunting book, if only because it contains the ghost of something so much better. At times it feels like a rough outline that periodically stumbles across interesting ideas, which you’d think would be explored more thoroughly in a later draft. But we never get there. Like Finley’s movie, I guess, it never really comes to anything. Unfortunately, also like Finley’s movie, it never really had a sense of what it was about anyway. …but it never goes further than being a possibility. The best version of Point Omega is what happens your mind for the months and years after you’ve read it, in which the story is reconfigured into something more gripping, more interesting, more powerful. The book, as it stands, gets you started. But, as is too often the case with DeLillo, the reader has to meet him more than halfway. If it weren’t for White Noise, I don’t know that I’d keep making the journey.